The art songs of Ned Rorem will be featured in a Stephen F. Austin State University voice faculty recital at 7:30 p.m. Monday, Feb. 5, in Cole Concert Hall on the SFA campus. NACOGDOCHES, Texas - Voice faculty members at Stephen F. Austin State University will perform the songs of Ned Rorem in a recital at 7:30 p.m. Monday, Feb. 5, in Cole Concert Hall on the SFA campus. "Ned Rorem: The Art of Song" will highlight the works of "the most prolific composer of art song since Franz Schubert," according to Dr. Ron Petti, director of accompanying for the SFA School of Music. "He has written several hundred songs since the mid 1900s," Petti said. "His songs are performed throughout the world in concert halls and universities, and many have been recorded as well." 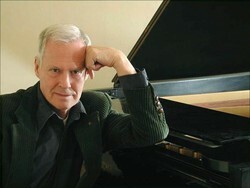 Rorem is also an author and has written several articles and books on various musical topics. "I always think vocally," Rorem writes. "Even when writing for violin or timpani, it's the vocalist in me trying to get out. Music is, after all, a sung expression, and any composer worthy of the name is intrinsically a singer, whether he allows it or not." Recital performers include Petti, piano: Dr. Ric Berry, tenor; Debbie Berry, soprano; Nita Hudson, mezzo soprano; Dr. Garry Leonberger, tenor; Emily Milius, soprano; and Chris Turner, baritone. Milius will also give a short talk to begin the concert. The recital is part of the School of Music's Calliope Concert Series. Tickets are $8 for adults, $6 for seniors and $3 for students and youth. For tickets or more information, call the SFA Fine Arts Box Office at (936) 468-6407 or visit http://www.finearts.sfasu.edu/.